MUSIC UP CLOSE Network („Connecting orchestral music to young audiences”) is a multiannual project involving European orchestras and international organisations dedicated to artistic mobility, conceived as a start-up for a long-term European cooperation network capable of giving concrete answers to current challenges in the field of orchestral music. The project features world-class orchestras, many of which have a strong reputation for delivering projects for young audiences and cultivating a new generation of talented musicians within their education and community outreach departments, such as the Netherlands Philharmonic Orchestra, Barcelona Symphony Orchestra, Lille National Orchestra, Santa Cecilia Symphony Orchestra, Sarajevo Philharmonic Orchestra, Montenegrin Symphony Orchestra and Ljubljana International Orchestra. Triple Bridge – European Career Centre for Artists: Its work is inspired by the needs and interests of young musicians across the globe. The centre has always taken a holistic approach to the development of artists, focusing on both their artistic and personal development. The guiding idea of the centre is the conviction that every artist deserves a successful career, and to thisend it aims to equip them with competencies, courage and confidence. Triple Bridge encourages intercultural dialogue, cross-border connections and closer collaboration between partners, partner cities, companies, sponsors, art lovers and media. 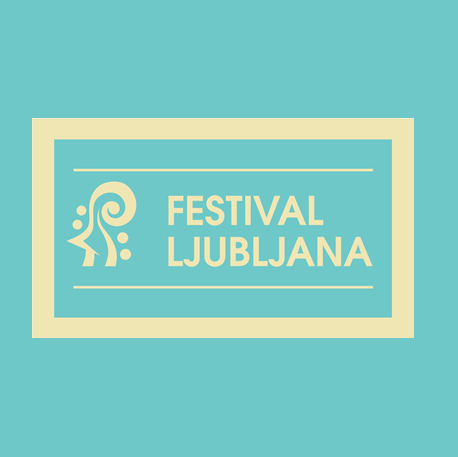 Ljubljana International Orchestra: Our love, our inspiration, our orchestra. A unique blend of the finest talents, cultural diversity and artistic vision, LIO is gaining increasing recognition among young musicians and leading professional artists around the world. It has performed successfully in Slovenia, Italy, Austria, Croatia, Serbia, the United Kingdom and Spain. The orchestra is part of the Triple Bridge European Career Centre for Artists, which supports its long-term development, focusing on the creation of an international orchestra of outstanding young musicians and providing them with the invaluable experience of playing in a symphony orchestra and working with distinguished teachers, conductors and soloists. The Sarajevo Philharmonic Orchestra is the first professional symphony orchestra in Bosnia and Herzegovina, although it has its roots in ensembles established during the Austro-Hungarian period. Since 1923 the Sarajevo Philharmonic Orchestra has represented one of the pillars of musical culture and a musical institution of fundamental significance for Sarajevo and the country as a whole. Having operated for decades in an environment in which social developments have inevitably conditioned cultural circumstances, the Sarajevo Philharmonic Orchestra has repeatedly had to start writing its story afresh. The Sarajevo Philharmonic Orchestra celebrated the 85th anniversary of its foundation with a magnificent concert on 11 October 2008 at the Zetra Olympic Hall. On that occasion the orchestra performed the popular Carmina Burana by Carl Orff, conducted by Julio Marić. As it approaches its 95th birthday, the Sarajevo Philharmonic Orchestra continues to pursue the goals it set itself at the beginning of its existence, remaining a beaconof the Bosnian cultural scene and without a doubt one of the most important links in the chain of the musical life of Sarajevo and of Bosnia and Herzegovina. She is not only a conductor with a broad symphonic and operatic repertoire, she also believes strongly in the importance of passing on knowledge and skills in the arts, particularly classical music of all periods and genres, and in gathering the world’s most versatile and acclaimed musicians around her in Ljubljana, where she is a key figure, as founder and artistic director of the Ljubljana International Orchestra, the Branimir Slokar Academy and the Triple Bridge European Career Centre for Artists. Internationally, she has conducted in Bulgaria, Bosnia and Herzegovina, Serbia, Italy, Spain, Austria, Germany, Poland and the UK. She has collaborated on musical projects in Ljubljana and Mannheim and at the Lucerne Festival. While still a student she founded the Festine Symphony Orchestra and Festine Chamber Orchestra, connecting professional musicians with students and enabling the former to share their experience of professional musicmaking with the latter, while also providing them with guidance in playing contemporary music. She has conducted the Slovenian Philharmonic Orchestra, the RTV Slovenia Symphony Orchestra and the Symphony Orchestra of the Slovene National Theatre in Maribor. She is a regular guest conductor at the Slovene National Theatre in Ljubljana, where she has recently conducted Madama Butterfly, Salome and the contemporary ballet Symphony of Sorrowful Songs with music by Gorecki as a homage to the late theatre director Tomaž Pandur. In the 2017/18 season she has conducted Jeroen Verbruggen’s new ballet Orphic Hymn, Philip Glass’s opera La Belle et la Bête and Wolfgang Amadeus Mozart’s Don Giovanni. The honorary patron of the event is the President of the Republic of Slovenia Borut Pahor.